100-level courses are first year or introductory courses and 200- and 300- level courses represent advanced-level undergraduate courses. Courses listed on the Victoria University website for 15 credit points are recommended for 4 U.S. semester credits and 20 credit points for 5 U.S. semester credits. This is a Full Curriculum Program meaning that you can choose any course offered by Victoria University if prerequisites are met. These courses are a sample of those offered and reflect some of the most popular courses with previous students. Some courses may require prerequisites. AIFS students studying at Victoria University can focus on a particular study area selecting at least 3 courses from within one if these academic themes and they will receive recognition of this on their transcripts. Subject areas and course options can be found here. Examines the cultural encounters and human experiences that emerge out of contemporary human rights regimes, humanitarian interventions, development projects, and global politics. Taking case studies from a range of different cultural settings, it will focus on how culture and politics shapes these global practices, and how different groups understand, respond to and challenge these interventions. Introduces students to current questions in medical anthropology. It explores how culture shapes experiences of the body and illness, and critically examines the politics and ethics of modern global healthcare in a range of ethnographic settings. We explore the complex interrelationships between settlers and indigenous peoples of the Pacific, and between colonies and homeland, that inform these vibrant traditions. The course encourages close study of actual artifacts and monuments and includes a field trip to the Alexander Turnbull Library. Examines the place of drugs, alcohol and crime in contemporary society by critically exploring the socially-constructed boundaries between use and misuse, the separation between licit and illicit use, and the links between drugs/alcohol and crime. This course introduces and develops game theory and its applications. An exploration of the history of literature(s) in English, from the Anglo-Saxons to contemporary Aotearoa/New Zealand. It is built around case studies of a series of major texts in their changing historical and cultural contexts, the texts being linked by the shared motif of voyages by sea. A thematic and historical study of New Zealand literature from the eighteenth century to the present focussing on such issues as imaginary worlds, writing the new place, the Maori Renaissance, nationalism and after, war, the outsider, realism, modernism and post-modernism. A broad introduction to Antarctica, including its history, exploration, weather, geology, fauna and management. Its role in the global climate system is emphasized. This course is primarily designed for non-science majors. Examines how cinema creates meaning through formal elements such as narrative, mise-en-scene, cinematography, sound and editing. It introduces students to key concepts and terms in Film Studies. It develops their textual analysis skills and explores different practices of interpretation. This course focuses on the cinema and visual culture of Aotearoa New Zealand from different cultural, aesthetic, historical, industrial and economic perspectives. This course explores the evolution of Human Geography and its relevance to local and global issues over time. A survey of the origins and histories of New Zealand and its peoples from the beginnings of human settlement to the present. Topics covered include Maori-European encounters and conflicts, politics and identities, changes in everyday life, and the shifting relations between New Zealand and the Pacific, Australasian and British worlds. Examines how and why conflict emerges in the international system and explores different approaches to its mitigation and resolution, using both traditional materialist theories of security and alternative critical approaches to security. Students will learn to discern varying forms of conflict and will employ theoretical and empirical perspectives on conflict analysis to analyze modern case studies. An introduction to the study of language, increasing understanding of a range of language issues of general interest in the community. This introductory course in management offers a broad perspective on modern management in the business, public and voluntary sectors, and examines key issues likely to face managers in the near future. An introduction to issues in applied ethics. Topics may include: the morality of the death penalty, war, cloning, abortion and euthanasia, and the moral status of non-human animals. The advantages, disadvantages and environmental impact of various renewable and non-renewable energy resources are investigated, with particular emphasis on the New Zealand situation. Other environmental topics covered include thermal radiation, the greenhouse effect, global warming, properties of the ozone layer, the physics of earthquake and extreme weather hazards and more. Topics include ancient and classical astronomy, elementary spherical astronomy, astronomical observations and techniques, planets, stars, compact stars, galaxies and elementary cosmology. The laboratory component of the course introduces the process of observing the skies, through the use of portable eight-inch telescopes and visits to the Wellington Planetarium at the Carter Observatory. The aim of this course is to develop knowledge of New Zealand politics and government through the lens of political science. We focus on key themes and current developments and, because we are situated in Wellington, we are able to call on politicians and other political actors to contribute to the course. Studies aspects of the relationship between politics and society, concentrating principally on the influence of politics on the arts and the arts on politics. Other aspects of the relationship between politics and society will also be considered, including the influence of politics on sport and sport on politics. Broadly examines human behavior and experience as it occurs in different cultures and/or is influenced by cultural factors. Both comparative and indigenous approaches are applied to a range of psychological topics. The application of cross-cultural theory and research, particularly in relation to intercultural contact, is highlighted. Introduces the major religious traditions: Christianity, Islam, Buddhism, Hinduism, and Judaism. We study the most important religious texts, spiritual leaders, and ritual practices in history, and we also explore contemporary issues and controversies. Introduces the major religious and cultural dimensions of the Islamic world, both those that express its diversity and those that express its continuity. The course seeks to provide students with a better and deeper understanding of the Islamic past and through this, the Islamic world today. A study of the diversity and complexity of Judaism in the contemporary world against the background of Jewish history. The course focuses on the ways in which Jewry and Judaism are, and have been, understood by Jewish Communities themselves and in the work of contemporary scholars. The definitions and macro contexts of sustainability, emphasizing the roles, responsibilities and opportunities for professionals in the designed and built environment. The course covers climate and microclimate, resources, materials production, environmental impact and social equity. A systematic exploration of the structure of tourism. An originlinkage- destination framework is used to examine the functioning of the system and its components: origins (patterns of demand), linkages (flows, distribution channels, transport) and destinations (tourism development, accommodation, attractions). 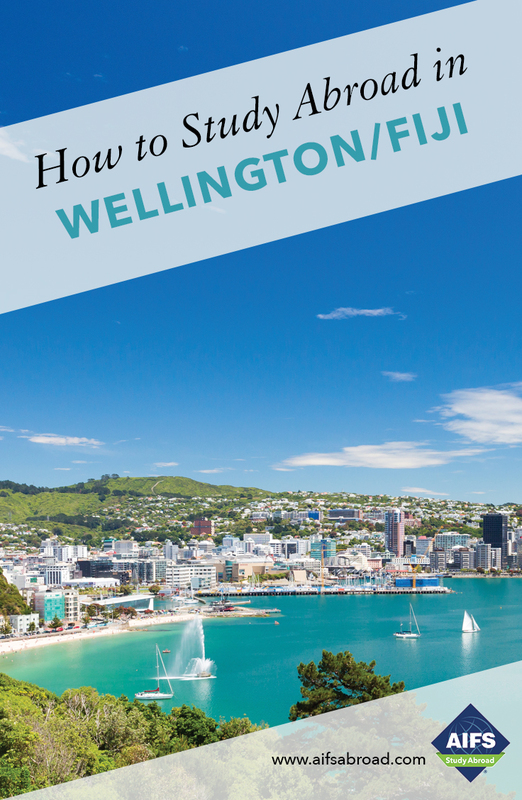 A systematic examination of domestic and international tourism in New Zealand. Stakeholder perspectives of host communities, tourists, public, private and third sector actors are employed to explore the dimensions of one of the country’s largest export earning industries. You can choose from the full course catalog at Victoria University. If you require a course which is not listed please visit Victoria University of Wellington’s online course catalog. Maori Studies courses examine the Maori people - their language and culture, past and present, and their place in relation to the other cultures of New Zealand, Polynesia and the world. Maori culture is a living and dynamic reality in New Zealand today and provides the nation with many of its unique qualities. Historically, interaction between Maori and non-Maori has shaped the economic, social and political development of New Zealand. The Maori Studies courses focus on developing awareness, appreciation and understanding about the associated issues and complexities. Students work to develop a foundation of basic Maori language speaking, reading and writing skills, approximately equivalent to NCEA Level 1. The course covers the fundamentals of Maori pronunciation, learning vocabulary and basic sentence structures, karakia, waiata, and mihimihi and includes a noho marae component – an opportunity to experience Maori culture. Introduces students to a broad range of Maori beliefs, concepts and structures that are important to the foundations and development of Maori society and culture. The course will cover aspects of pre-European Maori society, cultural change, presentday developments as well as visions for the future. Through Pacific Studies students are exposed to the ideas and work of the region’s foremost thinkers, political leaders, activists, and artists. Pacific Studies offers critical perspectives on the region’s imperial and colonial legacies. The Pacific Islands are an important part of New Zealand’s economic and political sphere of influence. While facing significant social challenges, Pacific communities in New Zealand are also generating a cultural vibrancy in the nation. This is a survey course on a range of Pacific nations, covering socio-cultural, geographical, economic, and historical issues including indigenous perspectives. Draws on the experiences of indigenous peoples in Australia, the Pacific Islands, and New Zealand. Ranging from pre-contact societies to post-WWII developments, the course examines themes such as the impact of disease and trade, the effects of Christianity and the missions, and indigenous resistance, struggle, loss and recovery. History of the peoples of the Pacific Islands from their initial settlement of the region to the present day. Beginning with Pacific Islanders’ colonization of the region, the course then charts Pacific Islanders’ progressive involvement in the emerging global economy following sustained European contact and involvement with the region. An introduction to Samoan culture and society with a focus on key Samoan concepts, values, practices, and socio-political institutions.